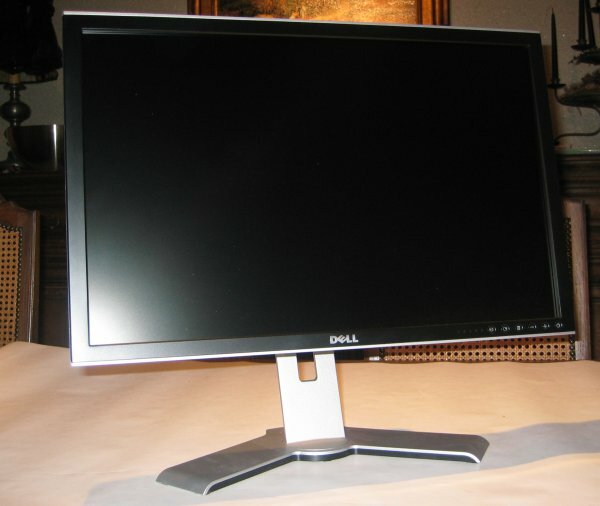 About two weeks ago I ordered the Dell 2407WFP online. 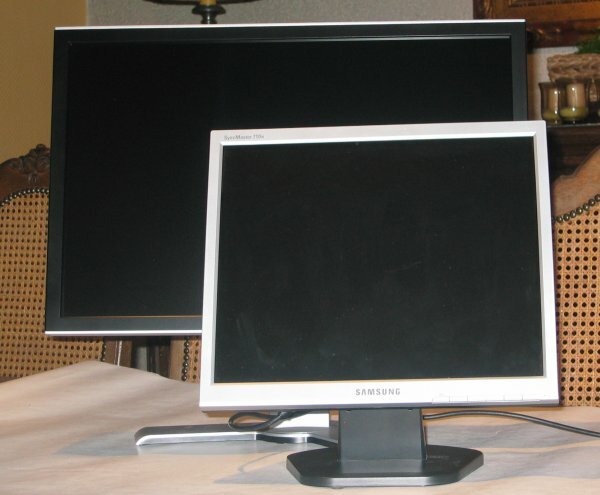 I was using the 17" Samsung 710N LCD display and I was looking for a bigger LCD display. It was a though search and I wasn't really sure how big I wanted to go. After reading some reviews online I decided to go for the Dell 2407WFP UltraSharp - a big 24" widescreen LCD display with a 1920 x 1200 pixel resolution capable of playing full HD video. I was a bit hesitant because of the huge price tag of this monitor but I decided to go ahead and shelve out 820.99EUR for the 2407WFP. Shipping was very fast as Dell had the product in stock. I ordered the display on Monday noon and UPS came knocking on my door Wednesday noon with a large package. The display was well shipped in one big box, it arrived in perfect shape. I unboxed it and placed the LCD panel on the big silver colored stand, overall the installation is really simple. Besides the foot and the LCD panel you also find the following items in the box: a short manual, CD-ROM with drivers and documentation, power cable, VGA cable (which is already attached to the screen), DVI cable and a cable for the included USB ports. While checking the back of the display I discovered that they send me the new A04 revision. This is the latest revision which shouldn't have the banding issues from some of the earlier revisions. When booting up my computer everything looked alright but I was getting kinda anxious, I ran a few tests and fortunately my new toy didn't have any pesky dead pixels. Power consumption: 57W normal (without audio and USB), 110W maximum (with audio and USB), less than 2W when active-off and less than 1W when switched off. The display in all its glory. On this picture you can see all the buttons. The 1-5 numbers are used to indicate which input signal you're using (like VGA, DVI or Component). 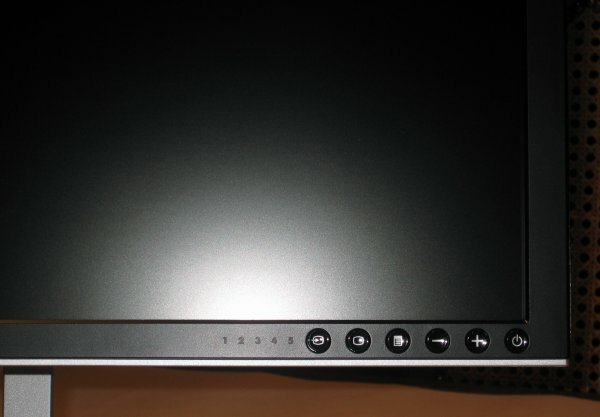 Cheap LCD displays usually don't feature a lot of extras but the Dell 2407WFP has plenty of them. 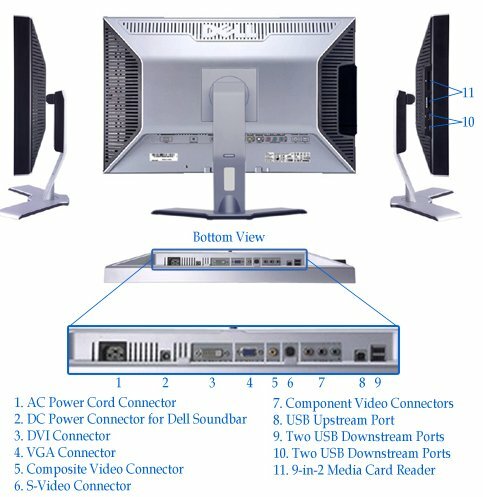 Besides the VGA and DVI (with HDCP support) connectors the 2407WFP also features S-Video, Composite and Component connectors and two USB 2.0 ports. Besides for your PC you can also use this display for your PS3, Xbox 360 or other consoles. On the left of the display you can find two additional USB 2.0 ports and a 9-in-2 media card reader. 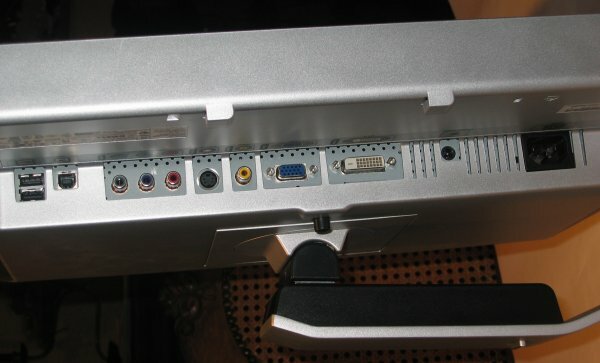 This is a picture of the back of the LCD display, showing all the input connectors. And here's the memory card reader and two USB 2.0 ports. The design of the 2407WFP is simple but very beautiful. 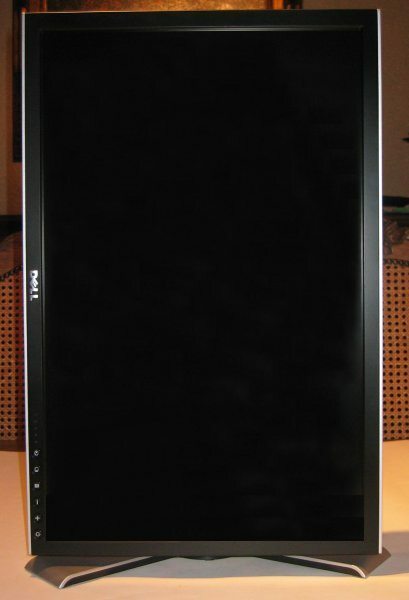 Opinions will vary but if you ask me most other 24" LCD displays don't look as good as this one from Dell. The height can be adjusted - the left picture shows it all the way up and the right one shows it all the way down. 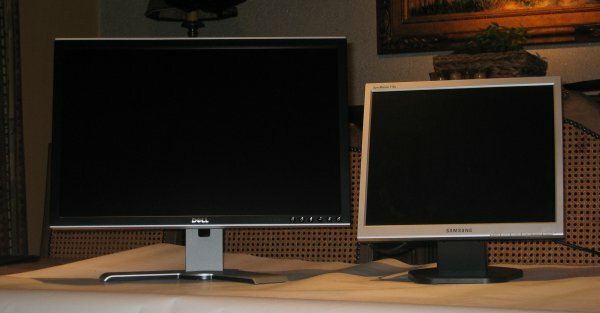 Here you can see the 2407WFP next to my old 17" Samsung 710N. 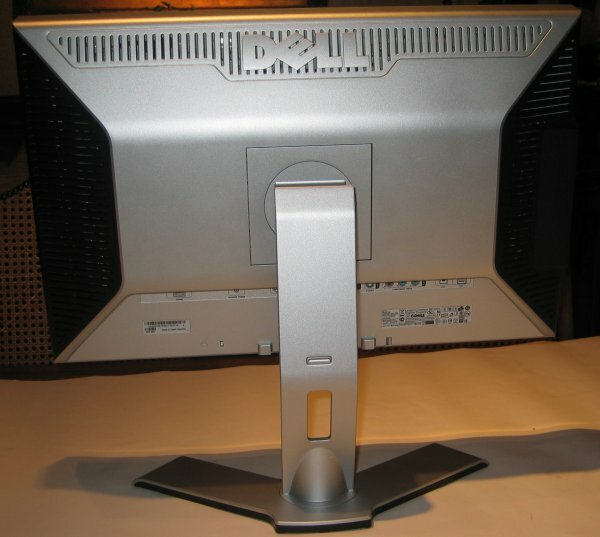 Warning: After using the Dell 2407WFP you're old display may look claustrophobically small! ha!.... is that for real? Do I have to enable the USB ports? It do not read any devices on the side ports and the two back ones. Please email me if anyone has an answer, thanks! I'm not really impressed by this monitor, for editing photos it is quite crappy. Thought I would also update my video card but it didn't help. Don't buy one of these!!! Mine was great for about 6 months - until it developed several pink/green stripes (no matter which input source I'm using). Just bought this one. After 22" Samsung 225BW this one is just something. Best choise of similiar products. 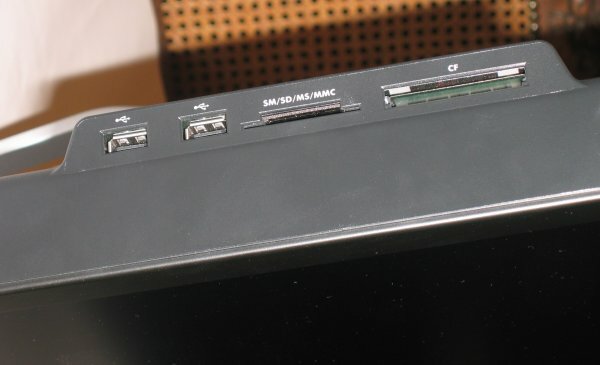 It has 4 USB downstream ports actually - two on the left side with the Card slots and two on the back - so if You haev some stationary hardware that uses USB - You can use the back ones - as fot flash drives and so - the left ones are good option especially if Your case stays below Your desk. Great review! thanks for all those pics and vids. Thanks for your comment. It seems that by playing a bit with the colour settings I was able to completely eliminate the pink ghosting effect. The green ghosting is still there but not as bad as before. For the green/pink ghosting, are you running the monitor in the "PC Normal" colour setting? I've found the factory RGB colour's have more green than red and blue. Try these settings: Switch the colour setting to "PC Custom Color" and set the RGB value's to around 90'ish. At the moment, I'm running on a 0 brightness value, but it still seemed okay on a value of 50 for brightness. This monitor is up for €699 here in the Netherlands. You shoudn't ever buy directly from Dell it's way too expensive.